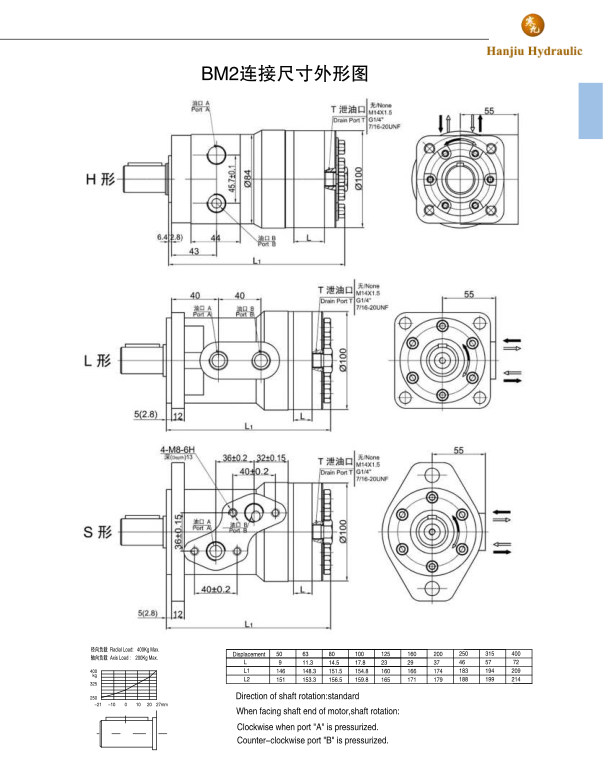 Hydraulic orbit Motor is one type of high torque low speed hydraulic motors, with high efficiency and long life. Hanjiu BM series motor has a wide speed range, high starting torque and rotating stable at high speed compact and light. It can be connected to working machine directly, adapted to all kinds of low speed heavy load facilities. 100% interchangable with the international brand, like EATON, DANFOSS. * Compact design of spool and gear set , which provide mini volume, high power and low weight..
* Credible design for shaft seal , which can bear high pressure. * Direction of shaft rotation and speed can be controlled easily and smoothly. 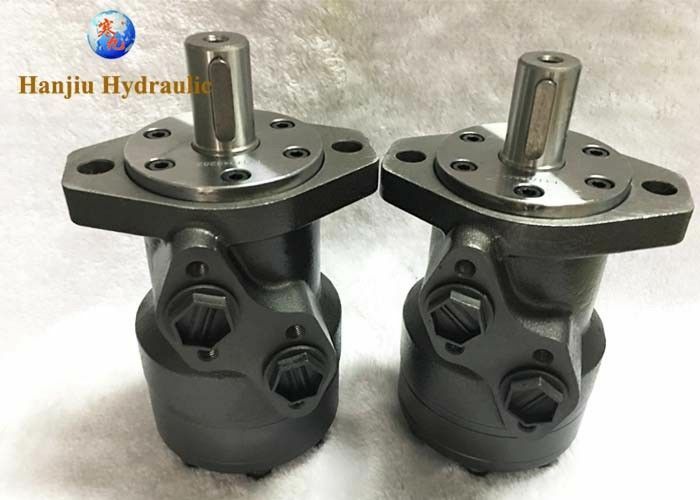 Hanjiu hydraulic motors are widely applied in agriculture machinery, fishing machinery, plastic industry, mining, and construction machinery. * An agricultural use: all combine harvesters, seeders, rotary tiller, mower, sprayer, feed mixers, ground drilling machine. * fishing with: hauling machine. * light industry: winding machines, textile machines, printing presses, operating with a washing machine. * construction industry: rollers, cement mixers, cleaning cars. * Machines like: Sprinkler, Mini Excavator, Driven Scraper Screw, Baler, Hydraulic Winch, Fishing Boat, Plastic Injecton Mold Machine, Cleaner, Grass Cutter, Convevors, Slews, Sweeper Drives, Auger Cutters, Mowers, Chippers, Drilling Machine, Municipal Machinery, and Agriculture, Forestry, Construction Equipments etc.